Canton, NC – Champion Credit Union was recently named as one of the 2018 Best Employers in North Carolina. This program was created by Business North Carolina, NC SHRM, and Best Companies Group. Companies from North Carolina entered the two-part survey process to determine the 2018 Best Employers in North Carolina. The first part consisted of evaluating each nominated company's workplace policies, practices, philosophy, systems, and demographics. The second part consisted of an employee survey to measure the employee experience. The combined scores determined the top companies and the final ranking. Best Companies Group managed the overall registration and survey process, analyzed the data, and determined the final rankings. The actual rankings were published in May by Business North Carolina. 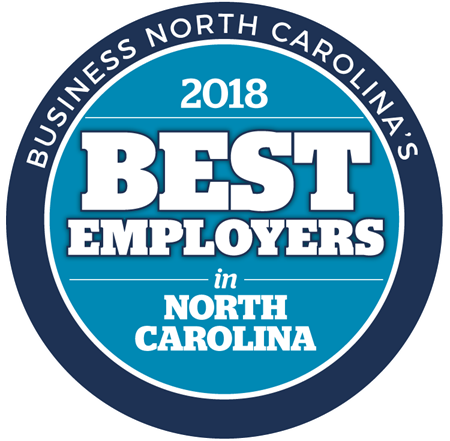 Click here for more information on the 2018 Best Employers in North Carolina. Local since 1932, Champion Credit Union is a community-chartered financial cooperative that serves the residents of Haywood, Buncombe, Henderson, Graham, Swain, Jackson, Madison, Transylvania, and Macon Counties. Champion Credit Union, with more than 25,000 members and over $280 million in assets, operates from offices in Haywood and Buncombe Counties in Western North Carolina. For more information on Champion Credit Union, visit www.championcu.com.